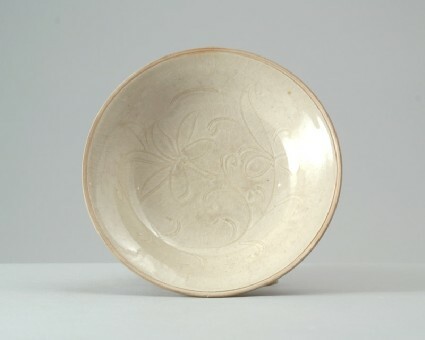 The dish is closely related to Ding ware, both in form and in design, but its workmanship and the blue-tinged glaze suggest a manufacture in the south of China. The dish is angled, with the sides widely everted and flaring towards the rim, the straight foot is neatly cut. The inside is engraved with a lotus spray with a single bloom and a leaf in single and double outlines. 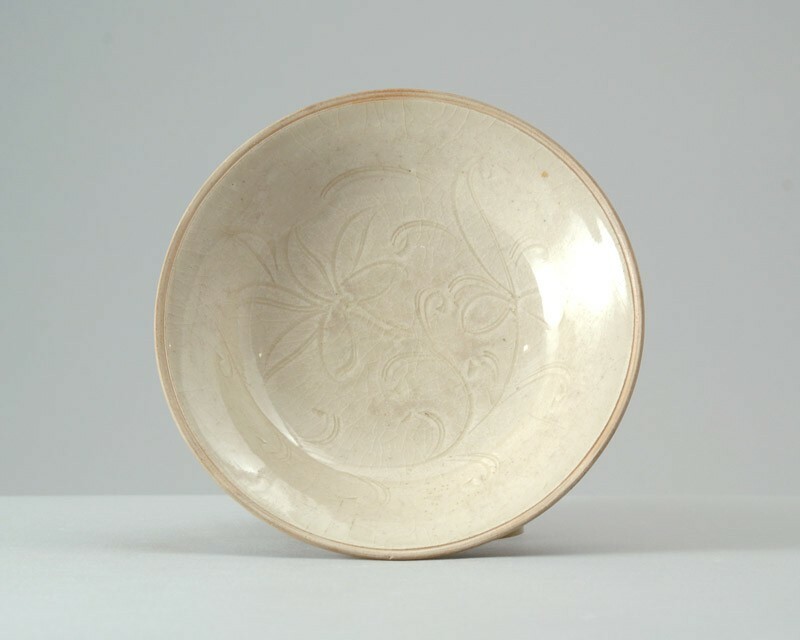 The off-white stoneware is covered with a slightly blue-tinged, glossy crackled glaze, which was wiped from the rim, creating a distinct ridge, and fully covers the foot and slightly pointed base.